The future of the global digital fitness market looks promising with opportunities in smart wearable fitness devices and smart wearable sports devices. The global digital fitness market is expected to reach an estimated $27.4 billion by 2022 and is forecast to grow at a CAGR of 32.6% from 2017 to 2022. The major drivers for the growth of this market are increasing awareness on fitness, rising demand of user-friendly and self-monitoring devices.Emerging trends, which have a direct impact on the dynamics of the digital fitness industry, include integration and cross-compatibility of personal health data and introduction of cross over products.A total of 102 figures/charts and 60 tables are provided in this 150-page report to help in your business decisions. Digital fitness companies profiled in this market include Fitbit, Inc., Apple, Inc., Garmin, Ltd., Samsung Electronics Co. Ltd., and Adidas AG are among the major suppliers of digital fitness market. On the basis of comprehensive research, Lucintel forecasts that the smartwatch segment is expected to witness significant growth during the forecast period due to their versatile features as a wristband. Within global digital fitness market, smartwatch is expected to remain the largest segment by product type. Multi functionality features, growing health awareness, and rising in disposable income are the major driving factors that spur growth for this segment over the forecast period. North America is expected to remain the largest region due to an increasing obesity rate and growing awareness on physical fitness with the availability of a more sophisticated digital wearable fitness device. Market size estimates: Global digital fitness market size estimation in terms of value ($M) and volume (thousand units) shipment. Trend and forecast analysis: Market trend (2011-2016) and forecast (2017-2022) by segments and region. Segmentation analysis: Global digital fitness market size by various applications such as product, category, and application in terms of value and volume shipment. 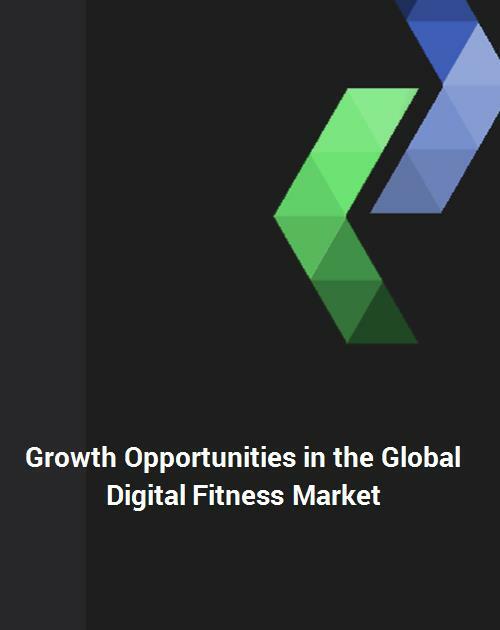 Regional analysis: Global digital fitness market breakdown by key regions such as North America, Europe, and Asia & Rest of World. Growth opportunities: Analysis on growth opportunities in different applications and regions of digital fitness market. Strategic analysis: This includes M&A, new product development, and competitive landscape of global digital fitness market. Analysis of competitive intensity of the industry based on Porter’s Five Forces model. Q.1 What are some of the most promising, high-growth opportunities for global digital fitness market by product (smartwatch, fitness wristband, smart clothing, smart shoe, and other), category (hand wear, head wear, leg wear and others), application (smart wearable fitness device and smart wearable sports devices), and region (North America, Europe, Asia Pacific (APAC), and the Rest of the World (ROW))? Q.2 Which segments will grow at a faster pace and why? Q.3 Which region will grow at a faster pace and why? Q.4 What are the key factors affecting market dynamics? What are the drivers and challenges, and business risks in this digital fitness market? Q.5 What are the business risks and competitive threats in this digital fitness market? Q.6 What are the emerging trends in this digital fitness market and the reasons behind them? Q.7 What are some of the changing demands of customers in the digital fitness market? Q.8 What are the new developments in the digital fitness market and which companies are leading these developments? Q.9 Who are the major players in this digital fitness market? What strategic initiatives are being taken by key players for business growth? Q.10 What are some of the competing products in this digital fitness market and how big of a threat do they pose for loss of market share by product substitution? Q.11 What M & A activity has occurred in digital fitness market in the last 5 years? 7.4: Samsung Electronics Co. Ltd. Figure 7.1: Major Headquarter Locations of Fitbit, Inc. Figure 7.2: Major Headquarter Locations of Garmin, Ltd. Figure 7.3: Major Headquarter Locations of Apple, Inc. Figure 7.4: Major Headquarter Locations of Samsung Electronics Co. Ltd.